Home SPIRITS & LIQUEURS Other Cocktails Cocchi? 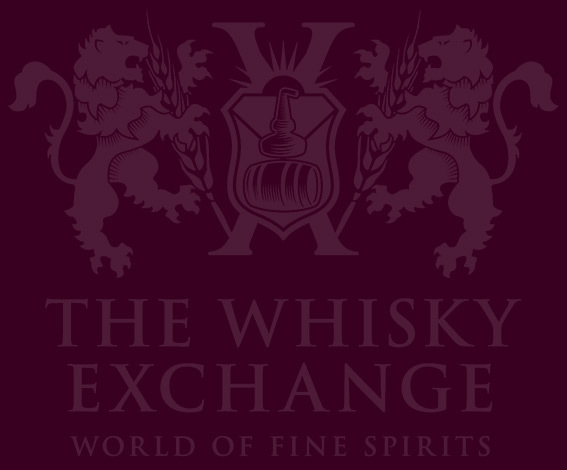 Despite our name we’re not all about whisky here at TWE. 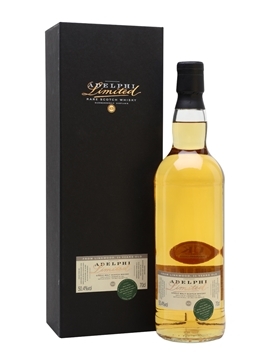 I’ll admit that we all rather like the odd dram, but we’re nothing if not versatile drinkers. I’m a big fan of gin in all its various forms, Tim puts Green Chartreuse into any drink that comes his way and talking to our shop manager Alex about Tequila can get scary. However, one thing that is often overlooked, and which I have increasingly started becoming a fan of, is vermouth, part of the larger family that is Aromatised Wine aka Aperitivo. 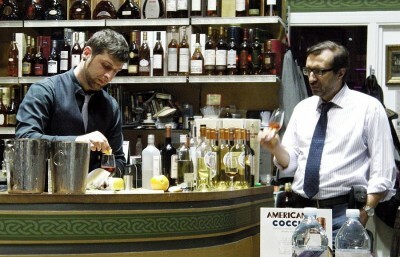 We were lucky enough to have a visit from Roberto Bava to TWE Vinopolis a little while back to explain a bit more about the drink category, in particular the drinks made by Cocchi, the range made by his company. Joining Roberto was Paulo Tonellotto of Bermondsey’s Hide Bar, bringing a knowledge of cocktails and mixing to the table – by his own admission Roberto is not a cocktail man, growing up with aperitivo drunk on its own rather than as an ingredient in other drinks. As such the plan for the evening was to explore each drink in two ways – as nature intended and mixed up in a classic cocktail. Roberto is one of the chaps who runs Bava, his family’s winery business. They’re based in the town of Cocconato in the Piedmont region of Italy and have been making a variety of wines for the last couple of generations. 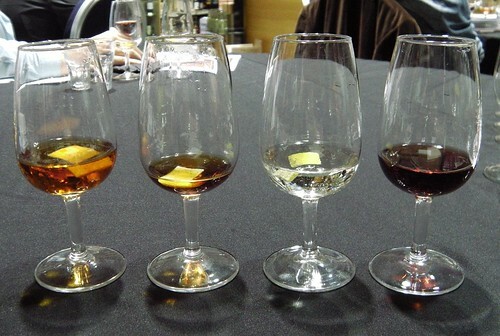 While they may be best known for their various still and sparkling wines, they have also been producing aromatised products under the Cocchi label since they bought the company in the late 1970s. Cocchi is a fairly old name in the world of aperitivo, with Giulio Cocchi producing his first aromatised wine in 1891, about 100 years after Antonio Benedetto Carpano produced the first vermouth (based on white wine and made to be more suitable for lady drinkers than the rough red wines of the time). Giulio was from Florence and the story is that he ended up in Asti, where he ended up making his home, by accident, getting off a train to Turin too early. He got a job in the town’s main bar, married the owner’s daughter and settled down. Florence had its own tradition of using herbs to make aromatised wines and he adapted those recipes with local wines and flora to produce something a little bit different. We started off with some wine. Asti is well known for its sparkling wine, Asti Spumante, and the area is the second largest producer of sparkling wine in the world after Champagne. However, they also produce Moscato d’Asti, a low strength fizz that’s great as an aperitif. Suitably we started off the evening with a Kir Royale of sorts, mixing Moscato d’Asti Cocchi with creme de cassis. The moscato is sweet but laden with honeyed lemon flavours, which worked rather well with red berry flavours of the cassis. On the nose it was all sweet grapes cut through with lemon, the cassis settling heavily at the bottom of the glass out of the nose’s reach. To taste the cassis kicked in, with big berry flavours mixing with the moscato to give strawberries, frozen sweet grapes and lychees. Getting the balance right with this drink is important, as too much cassis will totally bury the delicate, and quite expensive, moscato. Choosing a good cassis that isn’t too sweet is also important, as too much will turn the already sweet moscato into a cloying mess. The Kir we tried managed to avoid both of those pitfalls, although I preferred the moscato on its own. Next on the Cocchi menu is Americano, the aperitivo that has brought them the most attention in recent times. This was Giulio Cocchi’s first product, a mix of white wines and herbs in the classic aperitivo style. Rather than using the wormwood that is part of the definition of vermouth they use gentian as a bittering agent, meaning that Americano is not a vermouth, in a similar fashion to Lillet Blanc. 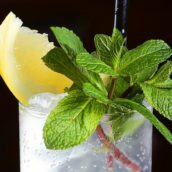 It’s got a strong flavour, thanks to the gentian, quinine, bitter orange and 12 other ingredients in the mix, and works well in both long and short drinks, with the latter giving a herby punch while the former allows it to work almost as a cordial. We had it served in a simple fashion, with an ice cube and a piece of orange peel, which gave it a big and citrusy nose. To taste there was lots of gingerbread spices, a bit like packets of the Lebkuchen mix I used to make biscuits with at Christmas when I lived in Austria, and some woody bitterness backed up by butter and rich orange. It’s fresh and summery and I can imagine it being a great summer lunchtime drink, lengthened with some soda water. 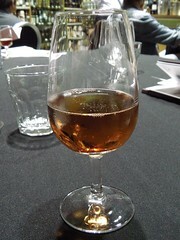 The main problem with recreating it in recent times has been the discontinuation of Kina Lillet in the 1950s, as no other wines on the market really fit the sweet, bitter and spicy profile needed to do the drink properly. While Gordon’s gin has also changed, along with the ABV and preferred styles of modern vodkas and gins, the Kina Lillet problem is the one most focused on, and the one solved by Cocchi Americano – an aperitivo with a similar style. Paulo rustled up a Vesper for Roberto while we dug into a taster of the same, although made with slightly different proportions to Bond’s – 2 measures of gin, 1 of vodka, 1 of Americano, shaken and garnished with a canonical large thin slice of lemon peel. As with Americano on its own the nose was dominated by the garnish, with lemon and bitter citrus the main flavours. To taste it was very light, the vodka lengthening the more concentrated gin flavours, with the sweet botanicals from the aperitivo and gin backed by a woody bitterness, with maybe a hint of anis. A tasty martini. While white aperitif wines were the first to be created it didn’t take long before red wine came into play and red vermouth was created. While the most prestigious brand is probably Carpano Antica Formula, taking on vermouth creator Carpano’s name as it does, Cocchi were at one time quite well known for their range. 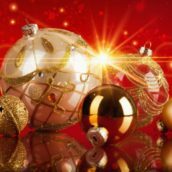 However, the market contracted in the late 1960s and the large range of products that the company were making started to shrink, in the end leaving little but the Americano. In order to celebrate the 120th anniversary of Cocchi this year the folks at Bava decided to reintroduce one of the old products – the original Cocchi Vermouth di Torino. 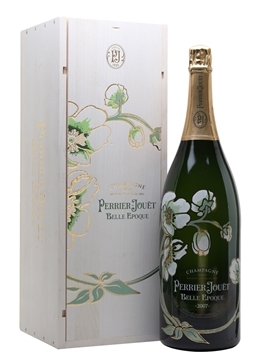 It’s similar in style to Antica Formula but is based on Moscato wines and comes in a bit cheaper. They colour the aromatised wine with burnt sugar (a slightly more romantic term than ‘caramel’) and age it before bottling, giving it a bit more oomph than its cheaper cousins. We had it served simply – in a glass, with an ice cube. 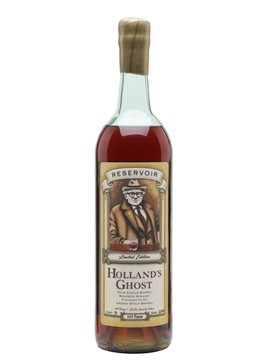 The nose had sticky cherries, pine, anise and some dry wood; to taste it had bitter wood balanced by sweet sugary fruit and a finish of raisins – a heavy but easy drinking vermouth. On the cocktail front Paulo moved us back in time, looking to predecessors of the Martini. As the quality of spirits has increased so has the amount of ‘dressing’ used in cocktails and the modern Martini is a perfect example of that, with its (generally accepted) forerunner being very much an inversion of the current style. 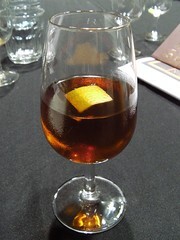 The Martinez is a vermouth cocktail with gin, rather than the other way around, and uses a sweet red vermouth rather than the dry white that is usually found in Martinis now. Paulo’s recipe – 2 drops orange bitters, 15ml Maraschino, 35ml Cocchi Vermouth di Torino, 25ml Old Tom Gin (in this case Jensen’s), stir gently in a chilled mixing glass, strain into a serving glass and garnish with orange peel. 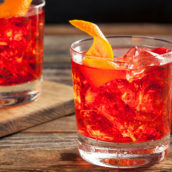 The gin and dilution lengthened the concentrated flavours of the vermouth, with the Maraschino acting as a sweetener and the orange bitters adding a bit of citrus for balance – a classic cocktail that is popping up again on more cocktail menus every year. 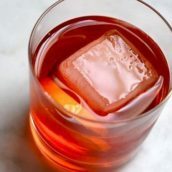 The final entry in the Cocchi stable is the one that I was most looking forward to, ever since I found a bottle when I ended up being the ARBITER OF VERMOUTH at the office summer party, forcing people to try a variety of aromatised wines that I’d found – Barolo Chinato Cocchi. This is the other wine that survived the thinning of the Cocchi herd in the 1970s and one of a few Barolo Chinatos still in production today. Five year old Barolo is used as the base wine and it is mixed with 25 botanicals, including quinine (chinino in Italian), gentian and rhubarb root, to produce a sweet red aromatised wine. 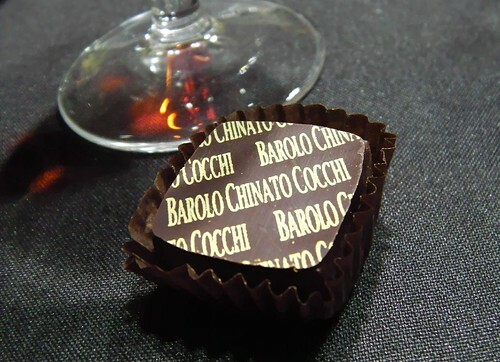 Cocchi’s Barolo Chinato made the company famous and it has recently started to make headway again due to it being used as a complimentary flavour to chocolate. As such Cocchi produce a range of chocolates, from single origin milk and dark chocolate bars (although pressed into the ring form of the stylised O of Cocchi’s branding) but also a range of truffles and ganache filled treats. The wine itself is heavy, the nose thick with raisins, spiced fruit cake, mulled wine, cherry Tunes and rich almonds. To taste it is chocolatey with more raisins, cherry and bitter wood. It feels more like a replacement for Port than an aperitivo, and I can imagine it working well either as an accompaniment to rich food (gout ahoy! ), cheese or puddings. To show this off a bit they rolled out some chocolate, including a spiched ganache filled truffle, made using the same spices as in Barolo Chinato. This married rather well with the wine, as you’d expect, with the spicy flavour intensified by having two sources and the chocolate filling in the gaps in the wine. The world of aperitivo and vermouth is still a niche in this country, and it’s one that I hope gets a bit more exposure. Happily, the massively over-subscribed trade-only second night of Paulo and Roberto’s Cocchi presentation shows there’s a growing love for these styles of drinks from those in the business. With the winter months drawing in people are mulling wine and spicing up any drinks they can get their hands on (with Jack Daniels even getting in on the action with their Winter Apple Punch) and not realising that there’s an entire category of drinks crafted over the centuries that have already been made to have those flavours. In the meantime I’ll be stocking up on Americano and hiding out until the Summer. This is wonderful article and well-needed exposure to the complexity and diversity of chinatos, vermouths and apertivo/digestivo category in general, thank you. Our winemaker, Patrick Taylor, has crafted the first-ever domestic chinato called Chinato d’Erbetti, which has been gaining national exposure and attention. Its base is actually Nebbiolo wine, made with infusions of over 27 different herbs and spices as well as locally-made grape neutral spirits (made from the must of our own Nebbiolo grapes!). 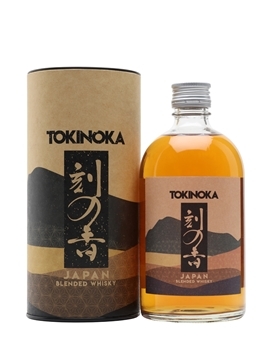 We’d love to get you a bottle, please let me know if you’re interested in sampling.